Jönköping, Lake Vättern's Pearl Lakes, forests, blue skies, typical red wooden houses, and Astrid Lindgren's stories. Here you'll find out what else there is to discover! 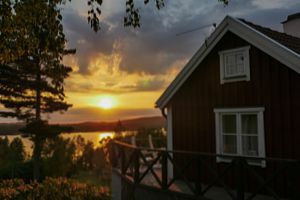 On this page you find a selection of cottages especially suitable for a fishing vacation in Sweden with focus on zander fishing. The cottages are located at some of the best zander lakes in Sweden, but you can still also catch pike or perch in these top class fishing waters. The lake Stora Nätaren is definitely one of the best zander lakes in Sweden. 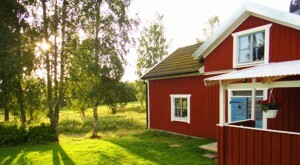 Only 220m from the lake, beside a farm, you find our cottage Björkebo. 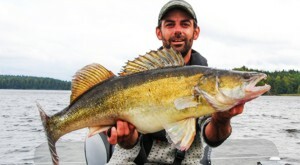 For a zander fishing vacation in these excellent zander fishing waters we recommend the period 1 May to 31 July since this is when fishing is allowed in all parts of lake Stora Nätaren. Our cottage Visthusboden with sauna is located at lake Bunn and is an excellent and cheaper alternative to some of our other cottages. 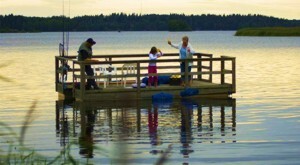 It's perfect for fishing experts and for a fishing vacation in Sweden for big zander, pike or perch. 80cm+ pike are considered a normal by-catch when zander fishing here and you can also expect perch, as they also like lake Bunn. New! In a secluded location on a small peninsula in lake is our new luxurious cottage Pettersvik with a sauna. The lake Ören is known for its good perch and you can easily reach the southern lake Bunn through a canal and enjoy its great possibilities for zander or pike fishing all year round. 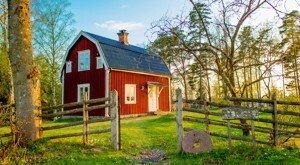 This is the ideal house for a fishing vacation in Sweden with a high standard. The zander stock in lake Bunn is not as big as in the zander lake Stora Nätaren, but fortunately the zander here in Bunn are larger. 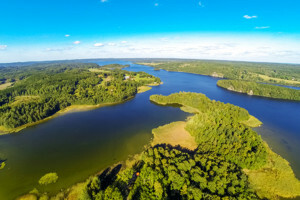 A fishing vacation at lake Bunn in Sweden is highly recommended to professional fishermen who want to fish for big zander and don't mind catching a pike or perch in between. Open for fishing all year round. Thanks to the perfect conditions for zander, the species has become strong and is the undisputed king of the lake today. This clearly makes Stora Nätaren one of the best zander lakes in Sweden and together with our fishing cottage it's our best recommendation for a zander fishing vacation in Sweden between 1 May and 31 July. If our cottages are already occupied the Bed & Breakfast Brovillan on Stora Nätaren is close by and a great option for overnight stays. 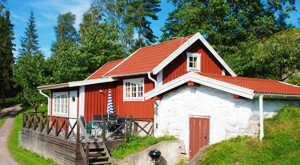 The accomodation is particularly suitable for fishing as well as for crayfishing. You can buy fishing permits for Stora Nätaren here. Questions? Feel free to call us at +49- or contact us directly on our mail adress . Om du har en stuga och vill hyra ut den på vår sida, kontakta oss gärna. Du kan antingen ringa oss på +46- eller maila oss på . Dessutom finns mer information på vår hemsida hyra-ut-stuga.se. Noch Fragen? Dann schreiben Sie an oder rufen Sie uns doch auf unserer deutschen Telefonnummer +49- an.